Mxsii Tech Private Limited is the leading company in the specialized Education, Coaching, Training & Placement. It's brands of INDIA certified by ISO 9001: 2015 & MSME famous for its best quality. 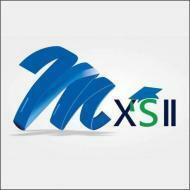 MXSII has specialization in 5 important domains namely:- Education, Coaching, Training, Career & Placement. Mxsii Tech Private Limited conducts classes in AFCAT Coaching, BA Tuition and BCA Tuition. It is located in Model Town, Yamuna Nagar. It takes Regular Classes- at the Institute.